After much consternation, dismay, and angst, I have learned Continental knitting. Previously I was a thrower. Clearly, this has not been an easy learning curve. Only regularly reminding myself to breathe allows my shoulders to lower from next to my ears to their normal level, and the needles to drop from straight in front of my face to a reasonable working height. A recent post by KnittyNuhn over at Nuhn Handmade inspired me to get off the duff and make something other than a medium-long, kind-of narrow piece of practice fabric. You know, an item a person might wear. Keeping it simple. And stylish. The Color Affection shawl has been sitting in my Ravelry library; time to give it a go. 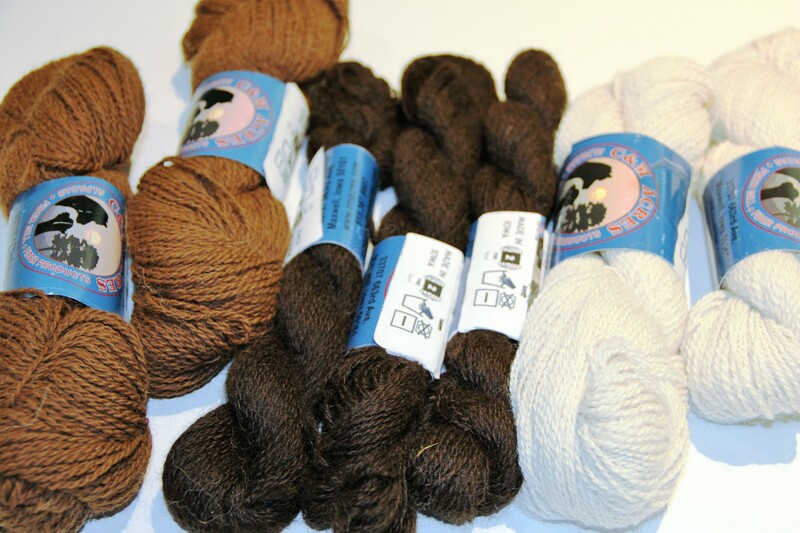 The yarn is a lovely Alpaca from C&M Acres. Not quite the right amount-per-color or, frankly, the right weight for the pattern. So I’ll be winging it – something I am comfortable doing. Wish me luck! I do so enjoy following the Nuhn women’s adventures in the world of handmade!